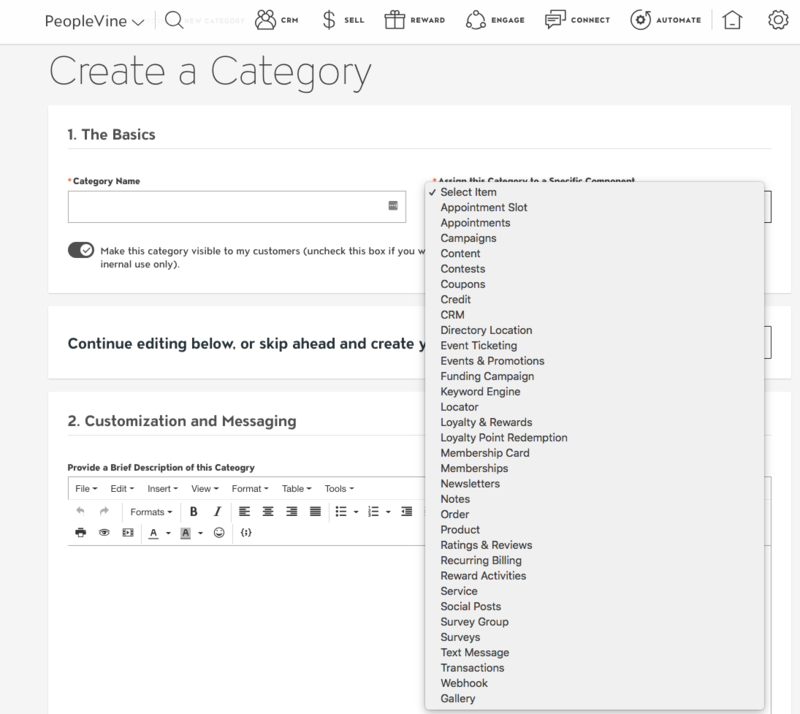 PeopleVine uses categories as a way to segregate and filter content. 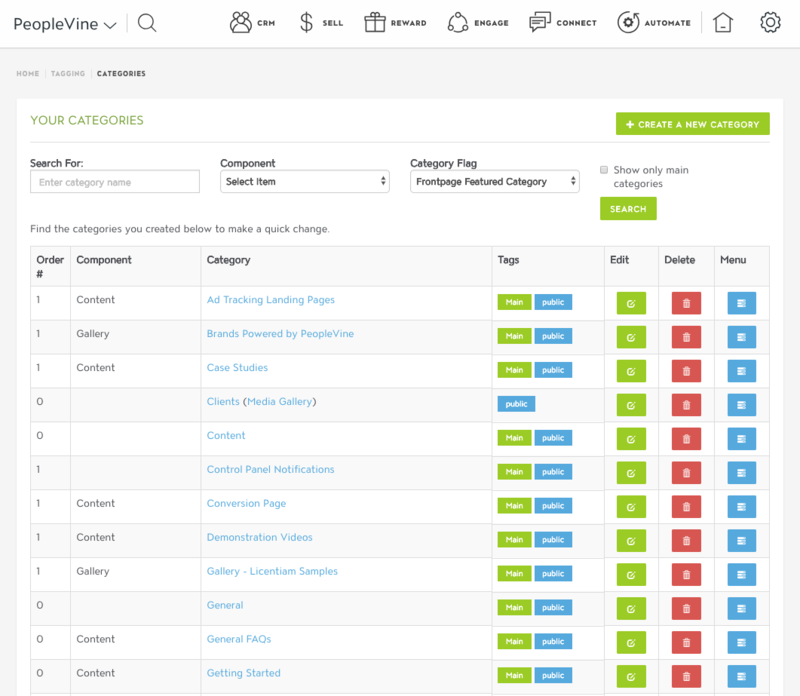 Categories can be utilized by a number of different content types such as directory locations, gallery, content, products, events, and memberships types. 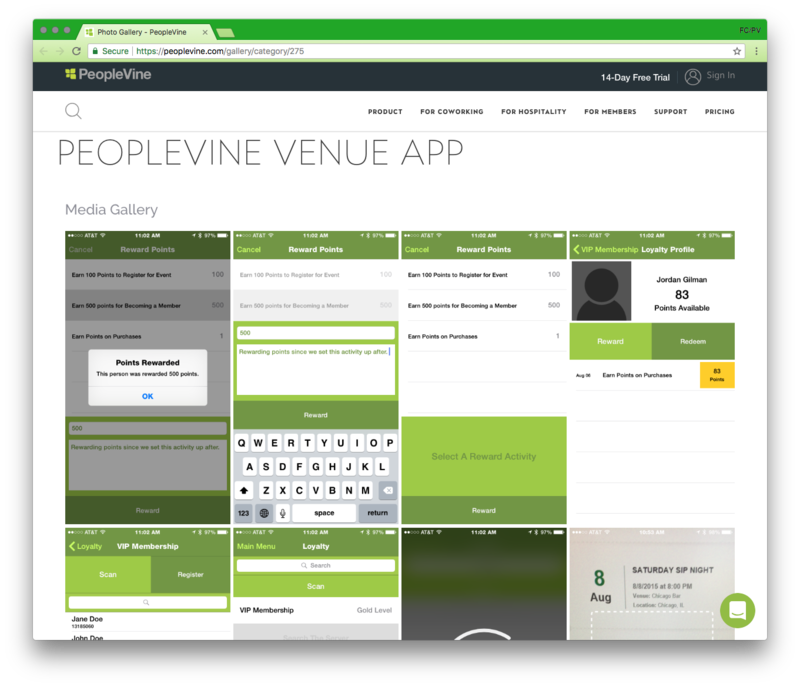 Get started by logging into PeopleVine, navigate to the control panel by click the ⚙ cog icon on the right hand side. 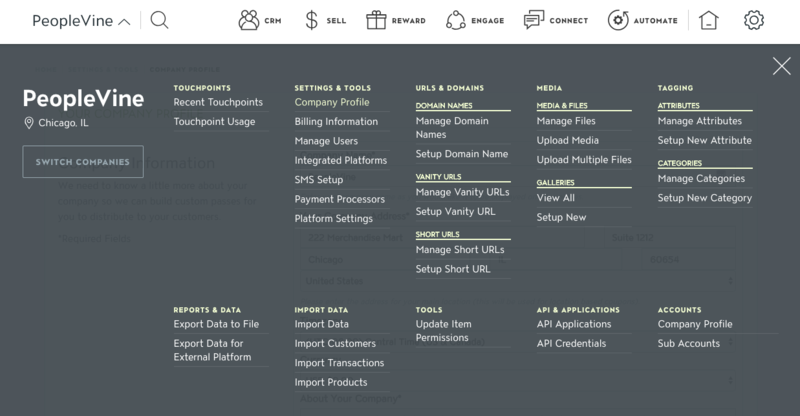 Select Manage Categories under Settings and Tools. Category types such as content and newsletters can be used to categorize content such as blog posts and campaigns – these are applied as filters for your content. Other category types like gallery and directory location also act as filters but can be access via direct link in there category menus and used to further segment into your customer experience.